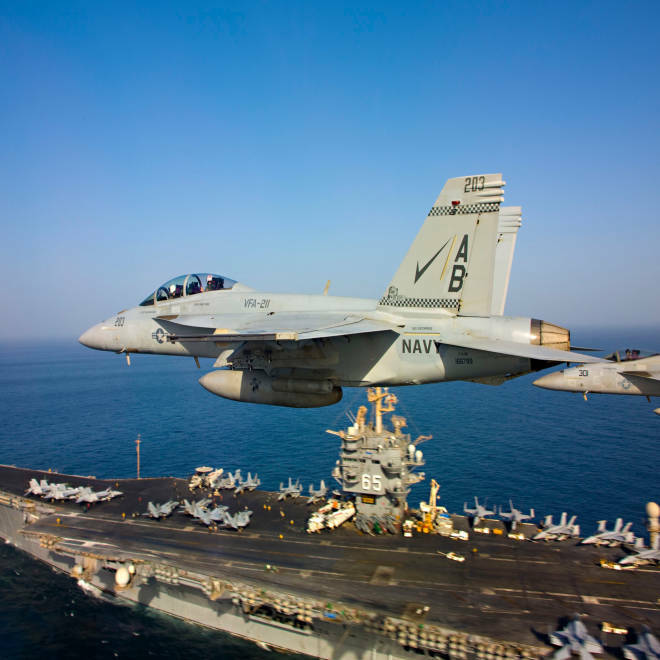 An F/A-18E Super Hornet, like these seen flying above the USS Enterprise in 2012, went down on Wednesday, January 15, off the coast of Virginia. A Navy pilot ejected safely Wednesday before his fighter jet crashed into the Atlantic Ocean off the Virginia coast, the Navy said. The pilot, who wasn't identified, was conscious when he was rescued from the water by a "good Samaritan" in a passing fishing boat about 45 miles off the coast of Virginia Beach, the Navy said in a statement. The pilot was being treated at Norfolk General Hospital. The jet, an F/A-18E Super Hornet single-seater fighter assigned to Strike Fighter Squadron 143 at Naval Air Station Oceana, was on a routine training run when it went down about 2:30 p.m. ET. The crash happened exactly a week after another Navy aircraft, an MH-53E Sea Dragon helicopter, crashed about 20 miles off the Virginia coast, killing three crew members. It also was on a training mission.